to the website of the Springfield Township Treasurer and Tax Collector, Bonny Davis. This website is here to provide you with basic information such as where and when you can pay your tax bill as well as contact information. You can submit questions, request information and pay your taxes online. You can also find the answers to frequently asked questions, and locate links to forms you might need as well as other important websites and news that might be of interest to you. There is NO payment information on the website. using the "Contact Us" form below. Amounts will only be given in writing - never over the phone. 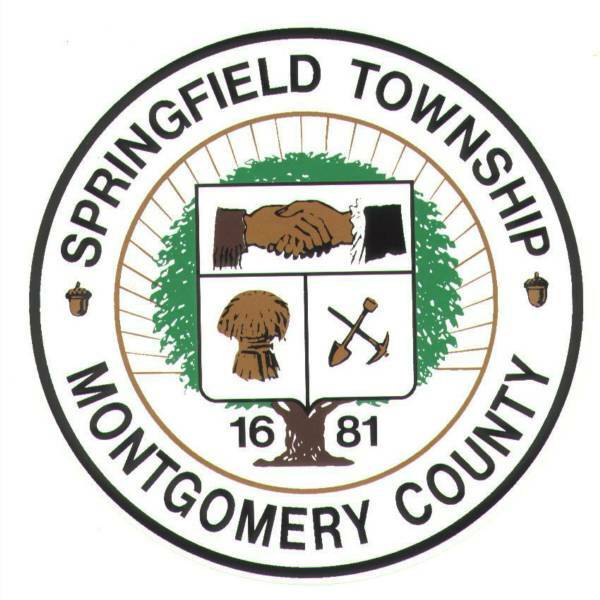 ​2019 County/Township property tax bills were mailed in early February. They are due on May 31, 2019. If paid on or before April 1, 2019 a 2% discount can be applied. After May 31st, a 10% penalty is added to any unpaid bills. These bills also include a refuse fee (if applicable). They cover the period from January 1st to December 31st. 2019-2020 School property tax bills will be mailed in early July. They are due on or before October 31, 2019. If the bill is paid by August 31, 2019 a 2% discount can be applied. After October 31st a 10% penalty will be added to all unpaid bills. They cover the period from July 1st to June 30th. The Deadline to pay all 2018 tax bills was December 31, 2018.
over to the Montgomery County Tax Claim Bureau for collection. You can contact them at 610-278-1216. Please note that Sewer Rental fees are no longer included on Springfield Township’s real estate tax bills. Bucks County Water & Sewer Authority (BCWSA). Please call 215-343-2538 for more information. I cannot answer any questions about sewer rental fees after January 1, 2016. Tax Certifications will continue to include information about Sewer Rental Fees billed through 2015. IMPORTANT NOTICE - The office at 1409 Bethlehem Pike in Flourtown was closed over 8 years ago. See "Important Changes" page of this website for more information. Please do NOT come to or call my home. They are not in charge of, do not manage, direct, control, oversee or supervise the Treasurer. annual assessment appeal deadline in Montgomery County to August 1st, effective immediately. The prior deadline was September 1st. 2019-20 School Property Tax Bills will be mailed in early July. The millage for 2018-19 was 33.0654. The Homestead Reduction (if eligible) was $361.00. I will not know the 2019-2020 millage or Homestead amount until June 2019. The due date each year is October 31st, a 2% discount is applied if the bill is paid IN FULL by August 31st, and a 10% penalty is added to unpaid bills on November 1st. School tax bills can be paid in 3 installments with the following due dates: July 31st, September 30th and November 30th. No discount is allowed if paying by installments, and a 10% penalty is applied to the 2nd and/or 3rd payments if they are paid after their due date. There is NO exception to these rules. I have NO authority to waive penalties or extend due dates. That is up to the School District and/or County and/or Township.